Homelessness is an ever-increasing issue in Australia. Despite being one of the wealthiest countries in the world with one of the most equal distributions of wealth, an estimated one in every two hundred people in Australia are homeless. In mid-2015, there were 105,237 homeless people in Australia, according to Homelessness Australia. The highest level of homelessness is in NSW, where over 28,000 people have no fixed address. The most populous city in Australia, Sydney has been ranked the second most expensive city in the world, behind Hong Kong. The latest City of Sydney street count found that in February this year, there were 948 homeless people in the CBD alone, representing a 28 percent increase since 2011. 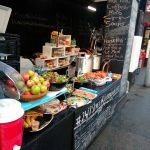 On June 24, the City of Sydney council evicted the rough sleepers that had been spending their nights at Sydney’s 24-7 Street Kitchen and Safe Space in Martin Place in the CBD. The operation had been providing a secure place for homeless people to sleep since mid-December. And the kitchen is still providing meals to the city’s needy. 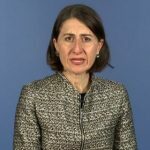 On the day the safe space was closed, a representative from Housing NSW announced that it would be providing 28-day temporary accommodation for the people who’d been sleeping there. But, there’s since been some contention as to whether this will lead to permanent accommodation. But, if permanent accommodation isn’t subsequently provided to the Martin Place rough sleepers, many of them will end up back out on the street again. Homeless people, and advocates for the homeless, are well aware that temporary accommodation options don’t provide long-term solutions. There’s also an issue of safety in regards to temporary accommodation. 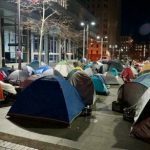 Earlier this year, a group of rough sleepers camped out the front of Flinders Street Station in Melbourne were moved on by authorities. Many of these homeless people said the temporary accommodation they were being offered as an alternative was dangerous, and the streets were a far safer option, especially for young women. In response to the Flinders Street camp, Melbourne City Council is seeking to ban sleeping rough in the CBD, and to fine people who leave their belongings unattended. But this move to criminalise homelessness will simply further compound the problems being faced by some of the community’s most marginalised people. In Sydney, at Central’s Belmore Park and Wentworth Park in Glebe, groups of tents are regularly pitched, sheltering some of the city’s rough sleepers. However, as these communities of homeless people grow, the council eventually moves them on. But rough sleepers are only the visible side of nation’s homelessness crisis. 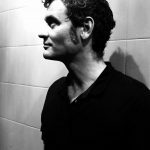 According to RMIT professor Guy Johnson, the problem is much larger and those on the street are only a fifth of the overall homeless population in the country. Earlier this year, Mr Johnson was appointed Australia’s first professor of homelessness. Sydney Criminal Lawyers® spoke with professor Johnson about what’s fuelling the rising numbers of homeless people, the links between homelessness and incarceration, and the need for housing first models. Firstly, professor Johnson, you’ve been researching homelessness in this country for over two decades now. Why is homelessness a rising problem in a wealthy nation like Australia? It’s pretty straightforward in some ways. As everyone is well aware, there’s a major crisis around housing affordability in the country. And that’s been ever since the late 90s, or the turn of the century. Housing prices have been on the rise relative to income. What we’re seeing, particularly with the street population is the manifestation of that housing crisis. There’s a range of factors, but that would be the most significant one I’d point to that is contributing to the increase in homelessness. One thing I should point out, is that we are seeing a more visible population in the capital cities, in Melbourne and Sydney. Both cities have reported rises in the number of people on the street. But, that’s the tip of the iceberg. That’s the very visible side of the homeless population, but only a small proportion. What the public don’t see is the huge number of people who are sleeping on couches, doubling up with other family, and potentially in cars. Housing NSW recently provided rough sleepers in Sydney’s Martin Place with 28-day temporary accommodation. In cases where homeless people are provided with accommodation for relatively short periods of time, how adequate is this in helping them to secure a permanent place to live? Twenty eight days is absolutely meaningless. All that’s happening there is they’re trying to clear the streets to turn it into a less visible problem. 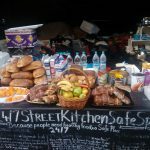 If we’re talking about a rough sleeping population – and remembering this population is different from other parts of the homeless population. Their needs are typically far more complex – we know the solution in assisting rough sleepers is to resolve their homelessness, and that’s by putting them in permanent housing immediately, and providing good wraparound support to them. Twenty eight days, these short-term transitional models, just don’t work. All the evidence points that way, and it’s frustrating that governments think they can get away with doing that. Many people report that there’s a safety issue in regards to temporary homeless accommodation. What are the temporary accommodation services like? It’s a bit of a mix. It depends on what is actually available. There’s a bit of a paradox here. A lot of people who sleep rough, they do it intermittently. They do it between boarding houses, and the street. Boarding houses, whilst they perform some form of shelter, are incredibly dangerous and violent places. So a lot of people prefer to sleep rough, rather than spend time in boarding houses. There’s the more formal forms of accommodation, such as crisis accommodation. They tend to be a little bit better. But again, they’re short-term stays. What we were hearing down here – and it certainly resonates with the research evidence – was people were sick of being put into short-term facilities and not having their problems addressed properly. And essentially being moved on and out and then back. The system was creating its own churn. And for people who are in that sort of cycle, it’s very dispiriting to have been into crisis accommodation three, four, five times, over the period of six, seven, eight, nine years, and never been offered a permanent solution. Melbourne City council is seeking to ban sleeping rough in the CBD, as well as being able to people who leave their belongings unattended. What effect do these sort of measures have on homeless people? And what does it do to their prospects of getting off the street? It’s one of the most retrograde moves I’ve seen for a long time. The lord mayor was quoted as saying that his biggest regret in 2016 was not effectively resolving rough sleeping in the City of Melbourne. He also said that there was no way whilst he was in charge that they were going to put laws in place which criminalised homelessness. And then he turned around two days later and went in the complete opposite direction. All it’s going to do is displace the problem, so other councils will have to deal with it. It’s going to criminalise some people. They’re going to receive fines. They’re going to lose their gear. It’s going to make their situation worse. It does nothing to resolve homelessness for the individuals or the sort of broader rough sleeping community. It’s a great shame that we are still at the stage where what’s more important to policymakers and politicians in the city is how the city looks, not how they treat their residents. In Sydney, we have parks where homeless people set up small tent communities. But eventually once these get to a certain size, they get moved on. 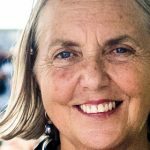 In your experience, do Australian councils provide alternatives to homeless people when they do move them on, or do they simply disperse the problem? They typically disperse the problems. There are cases where they provide some form of assistance and support. Port Phillip council in Melbourne, typically, is a bit more sensitive on these matters. But in the main, it just disperses the problem. Youth homelessness is an issue that came to national attention in Australia in the 1980s, and it’s an ongoing problem. What is the situation like today in regards to youth homelessness? And once a person does find themselves without a fixed address at that age, how hard is it for them to escape the cycle of homelessness? Australia was one of the world leaders in terms of implementing early intervention approaches to assist homeless youth. And in many ways we still lead the world in that area. Early intervention is the absolute key. If young people end up in the homeless population and stay there for a period of time, their issues typically get more complex and costly to resolve. So getting them out early is important. What’s been happening recently is a recognition that there is some diversity in the youth population. Some young people have very complex needs when they first become homeless and some have less complex needs, and their situations are easier to resolve. Australia, generally speaking, is doing a reasonable job around youth homelessness. It has renewed focus on some of the institutional pathways that young people travel into homelessness: the child protection system and the juvenile justice system. But as with many programs that governments put in place, they’re still insufficiently resourced. So they recognise the key pathways into youth homelessness, but they haven’t quite funded them to the extent that we can actually stop the flow of young people into the population. In some ways, it’s a more positive story than in other areas. But, we still haven’t gone far enough. It’s often thought that mental health issues can lead to homeless. However, you’ve conducted recent research into the effect that being homeless actually has on a person’s mental health. It was too confirm what was long suspected. Yes, when you have a look at a homeless population from a broad perspective, you’ll always find about a third of the population has mental health issues. That figure of about a third is similar in Australia. It’s similar in the UK, and the US. What most people presume is when they see a homeless person with a mental health problem that’s the thing that’s led them to become homeless. And when we looked at it more closely, we realised that about half of those who’ve got mental health problems, didn’t have them when they first became homeless. And what was happening was the stress of being homeless, the stigma of homelessness, the lack of a place to store your gear, all the stresses that are associated with being homeless – the violence – all of those things were contributing to mental health problems whilst they were homeless. So what that sort of means is that we have to really think carefully about what those pathways into homelessness are. Because they’re not always via mental health, so it’s not a health response that’s required. And similarly, we found the same pattern with substance use, that many people develop those problems after they became homeless. In fact, of the population that had substance use problems, two thirds of them developed those problems afterwards. 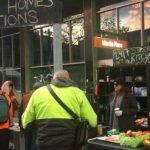 It’s been reported in Sydney of late that there’s been a lot of people showing up on the street who are experiencing homelessness for short periods of a few weeks. But these people are finding their way back into accommodation. Then there are others out there suffering long-term homelessness. What would you say leads people to be sleeping rough long-term? And once they find themselves there, how hard is it to get out of the situation? It’s a really important point. The homeless population is quite diverse. So if you’re looking at that group – the rough sleeping population – there’s a bit of a mix in there. There’s some people who are newly homeless, and there’s some that are chronically homeless. Amongst those that are chronically homeless, a number of things stand out. Most of them have experienced some childhood trauma. Another thing that stands out amongst that population is they typically have no family support, so they can’t tap into that cultural, economic, or social capital that families provide. That means that they have very few resources – emotional or social capital resources – that enable them to get out of the population quickly. Even though most people, when they think about homelessness, tend to think about rough sleepers, the population is much bigger than that. Rough sleepers constitute about a fifth. But even amongst those people who sleep rough, there’s a bit of diversity there as well. And what that means is, you need quite different policies responses, because what a person who has experienced childhood trauma needs is very different from a person who lost their house because of an economic shock, because they’ve lost their job or something like that. They don’t really have any support needs above and beyond the fact that they’re poor. So we’ve got to get this right. One of the things that worries me about focusing on the rough sleeping population, is that this is a population where a high proportion has mental health problems and drug problems. Most of the homeless that we don’t see, don’t have those problems. Their problems are purely economic, and they stem directly from the housing and labour market. And because we don’t see that, and because we see this group that have got these drug and alcohol problems, we tend to think that it’s personal issues that are driving homelessness, and it’s not. And we need to be much more sensitive to that. Recently you conducted research into the links between homelessness and incarceration. Your report found that that being homeless doesn’t increase the risk of incarceration, but being released from prison does increase the chances of an individual experiencing homelessness. Can you tell us a bit more about this post-release risk? It’s interesting, because there’s long been an association between incarceration and homelessness. And we wanted to test it out, in which direction the relationship worked. And remember, we’re talking about a broad homeless population here, not just the rough sleeping population. So hence, you don’t see the flow of homelessness into prison, in the way we would have expected. What we do see is that amongst those who are released from prison, the risk of homelessness is high. But it emerges much later than we initially thought. What governments have done – and it makes sense – is that they have put in post-release prison schemes. So when people are being released from prison, there is some sort of support. Now that has clearly made a difference. What the report shows is that perhaps those things don’t run for long enough, and that once they expire people’s risk of falling into the homeless population emerges. So we found amongst those that have been incarcerated the risk of becoming homeless starts to increase from about six months to eighteen months after they’ve been released. Basically, the argument is then that we need to extend these post-release prison schemes to help people work through that period of risk as well. Once people were finding themselves in that homelessness risk area, was that then leading them into reoffending? We didn’t focus on that, but there is a clear link between reoffending and reincarceration obviously. And given the circumstances of this population – incredibly disadvantaged, with very few economic and social resources – I would suspect that would be the case. But we didn’t actually investigate that. And finally, professor Johnson, looking at the issue of homelessness – and taking into account that we’re not just talking about rough sleepers – what would you say are the most immediate measures that need to be implemented in order to help curb this ever-increasing problem? This is the big challenge, because the underlying issue – the most important issue that we have – is around the housing market, and we can’t address the housing market quickly. There’s no quick fix in that sense. So we’ve got to deal with that. The good thing, though, there is now a debate around housing affordability, which we just simply haven’t had before. So that’s a pleasing sign. Are we doing enough in that area? Certainly not at this stage. We need a much more far-reaching approach to addressing housing affordability, than the current federal government has put in place. In terms of the short-term, there needs to be much less emphasis particularly for the rough sleeping population on short-term transitional responses. The evidence is really powerful about what works for this population, and governments need to fund it. They know what works. They know that housing first – putting people directly into housing, and then providing support – is the best approach. And it’s striking that they still rely on these transitional models for a group that it doesn’t work for. They’ve had a few of these small housing first programs in Sydney, where they’ve supplied permanent housing. They need to scale those up. You also see them on a larger scale in North America, where it’s been shown that whole towns have provided people with permanent accommodation and they’ve eradicated homelessness. Are these models actually working? They are. I won’t say that we’ll get homelessness down to zero, or we’ll get rid of it. You have to address broader structural issues to really stop the pathways in the first instance. But those models – that are essentially called housing first or permanent supportive housing models – do a very effective job at addressing homelessness amongst the chronically homeless population. Their success rate is around 80 percent, compared with transitional responses, which have about a 30 or 40 percent success rate. So it’s about government scaling some of these models up to try and really make a deep impact into the number of people that are sleeping rough on a more or less permanent basis. Guy, thank you very much for taking the time out to speak with us today.